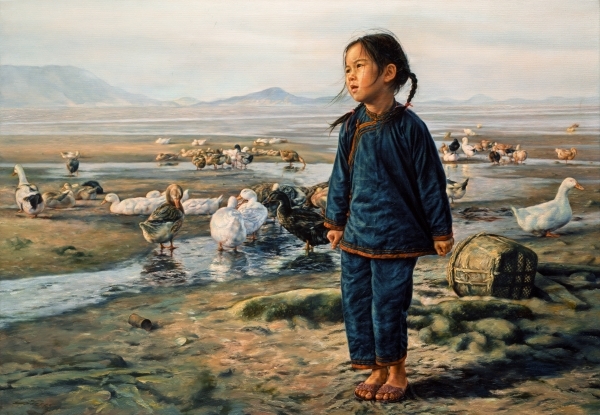 Description: Little Ah Chun had to get up early, to give her parents a hand with the ducks. The winter sun is rising, and the sky is the palest of powder blue. As the ducks play, the girl shivers in the morning air because she didn't bring enough clothing, but does not leave, because to do so would mean that she would have to leave her beloved he ducks unattended and she loves them too much to loose any of them.